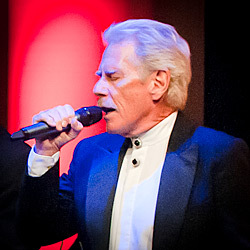 The Skyliners are an American Doo-Wop group from Pittsburgh fronted by Jimmy Beaumont. 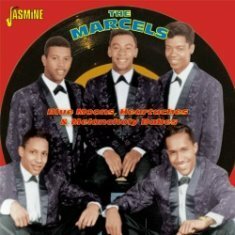 The original lineup included Wally Lester, Jack Taylor, Joe Verscharen, and Janet Vogel. The current lineup includes, Nick Pociask, Frank Czuri, John Sarkis and Donna Groom. I grew up during the time in history when this song was popular. There was nothing like those Saturday night sock hops and dancing to "Since I Don't Have You" during 1959 and later. What a wonderful time to be a teenager. Gone but certainly not forgotten. Legend has it that the original song was set to fade to the music, but Janet ad-libbed the song's memorable ending in high C (after repeating thirteen you's) as a joke during rehearsals. It made for such a beautiful ending and the group liked it so much they made it a permanent part of their arrangement. The song had a sophistication that extended to the use of strings and horns that surrounded the singers so beautifully. 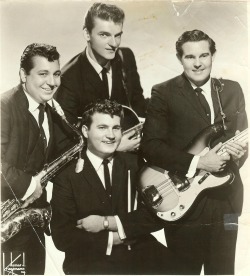 The Skyliners song was turned down by many labels. More than a dozen labels rejected the song before it was released by a local Pittsburgh label, Calico Records in late December 1958. This video is from the 1999 1st Doo Wop reunion concert on PBS, and was recorded at The Benedum Center, in Pittsburgh PA.
As you enjoy this video watch Donna Groom as she seems to hit those high notes with little effort, just like the original singer, Janet Vogel. How good was Donna Groom that night in 1999. She backed up on "The Lion Sleeps Tonight", with that incredible opera sound, on the same show. I prefer listening to this beautiful song from a an original 45rpm on a good turntable. 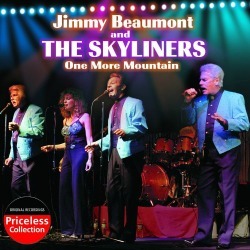 In recent years Jimmy Beaumont and the Skyliners have been a substantial part of the PBS Specials (DooWop50, Moments to Remember, Cavalcade of Music, My Music). The video below was also recorded on the same program in May 1999 at the Benedum Center for Performing Arts in Pittsburgh, PA. Enjoy another Skyliners favorite, "This I Swear" from 1959. 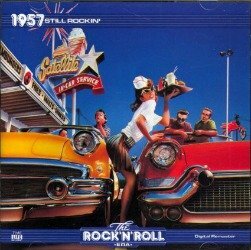 As a testament to its longevity, "Since I Don't Have You" is frequently played on the radio; the song was featured in several films including American Graffiti and was also played on the TV series Happy Days. A humble and soft-spoken star, Beaumont was still singing as recently as Sept. 17, 2017 when the Skyliners performed a concert in New York. One of the most beautiful classics from 1959 that still receives generous airplay on many stations around the world. Thanks for the memories, Jimmy. Your song was a big part of my teenage life and the happy times we grew up in. "One More Mountain" sung beautifully by lovely & talented Donna Groom. The song tugs at your heartstrings & touches you the way a great song, done beautifully should!